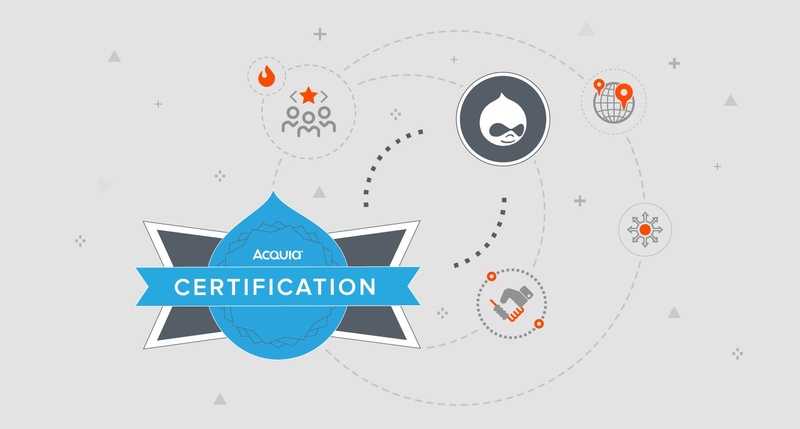 The Acquia certification program (now Acquia Academy) originally launched in March 2014, offers a useful benchmark that allows Drupal developers and the agencies they’re part of to validate their expertise and promote teams. More than being just a badge, it provides valuable differentiation—an edge enabling global agencies to stand out of a crowd, one often assumed by many to lack aptness or engineering prowess. Acquia Certifications + Drupal Outsourcing? With the world moving towards global delivery, end-clients often have concerns about the calibre and competence of global team members, their ability to match industry standards and certifications, quality assurance, security, and so on. As a fully-distributed agency that started over a decade ago, with 50+ team members today operating in The United States, The United Arab Emirates, India, Ethiopia, Japan (and counting), we know well the concerns and objections. Offshore agencies and developers outside the US and Europe are often perceived by some as being inferior onshore resources. While there may be a number of factors that have contributed to this perception, speaking truth to power, there are many credible agencies in Drupal and highly talented developers who are denied opportunities due to this perception. Let’s consider this: when teams made up of adept men and women have what they need to succeed, with the right support system behind them, they rise to the occasion—regardless of where they come from. For agencies that practice global delivery, that are driven by a focus on excellence and invested in their clients’ success, certifications can help level the playing field. They help legitimize the expertise of their team members and their standing in the community (e.g. Drupal Grand Master status). Ultimately for global team members, this is about the validation of skills and a provided measure almost always requested by partners or end-clients. Let’s take a closer look at Acquia Certifications. The Acquia certification tests are comprised mainly of scenario-based questions with detailed multiple choice answers. Exams are designed to validate skills and knowledge of a Drupal Site Builder. They are taken under strict conditions, making it impossible for candidates to look up answers. These tests assess candidates’ problem-solving skills in real-world scenarios, as opposed to merely testing their recall, as standardized tests often unfortunately tend to do. This is therefore not a test candidates can cram for. It is not enough to have programming experience—these questions will test for experience specifically with Drupal. Candidates may have studied the code, but if they have not used it, they will have difficulty answering these questions. Developers would need to have built real sites with Drupal and dealt with the actual problems that occur in order to be effectively prepared for this test. This makes the test a good indicator of candidates’ prior experience of working with Drupal as well as their efficiency in solving problems. Preparation via immersion is the only real way. No assessment system is perfect and the Acquia certification test too has limitations. While the test does validate real-world experience with Drupal and acts as an excellent first-level filter, at the end of the day, it cannot effectively replace candidates’ actual work or contributions made to the Drupal project as a direct measure of their ability. The type of commits a candidate has made always reveasl more about them than the number of certifications. Do Acquia Certifications even matter anymore? Certifications certainly matter to clients, who are often looking for some kind of objective standard to establish the calibre of individuals on their agency team. “In such cases, certifications provide a strong, reliable filter for a certain baseline level of developers that you want to have on your team,” says Hussain Abbas, Engineering Manager at Axelerant, Acquia Certified Drupal Grand Master, and core contributor. Agencies can also benefit from having team members who are certified on their teams, as certifications provide an opportunity for them to showcase the efficiency and competency of developers on their staff. Certifications act as an equalizer, allowing them to gain an equal footing compared to other, more established businesses in the field. Particularly for agencies based in locations other than the US or Europe, certifications communicate standardization and help remove bias. For global developers and agencies who are just getting started, who may have just as much competence, ability and drive as more established businesses in key locations, certifications reassure clients that they will be able to deliver in spite of cultural differences, language differences or a variety of scenarios which it is not usually possible to test for in a single interview. “Rather than spending time testing for all of these different scenarios, you can just use the certification as a filter. If the certification is reliable, which in my opinion it is, it works as a strong indicator of later efficiency in the output from the developer,” says Hussain. For those new to the field, certifications also provide a roadmap to follow, and opportunities for growth and learning. Beginners in Drupal who are looking to get certified, even if they have experience building a few Drupal sites, probably still would not have had the opportunity to use many of the features that Drupal offers. The process of preparing for the certification will give these developers the chance to explore these aspects and features of Drupal, and see their value. Once developers have graduated to a specialist or developer certification, they will have a more specific target to aim for on the development side of things. Here, they will face Drupal-specific terminology, as well as technologies and techniques specific to Drupal, which are not used in other ecosystems. “While preparing for these certifications, you will come to appreciate how Drupal does these things. This helps build your knowledge, allowing you to eventually use these techniques in your project work,” says Bassam Ismail, Front-end Architect at Axelerant, and Acquia Certified Drupal Grand Master. At Axelerant and other agencies, certifications are usually valued for hiring. In addition, while opinions on the merits of certifications can vary, the fact that a candidate has made the effort to become certified provides evidence that they are willing to go the extra mile. “Certified candidates are generally sufficiently good even by our standards, and our interview standards are rather high... if someone is certified, it tells me that person is open to thinking outside their own box. It’s an indication of flexibility, and I would lean towards that," says Hussain. It also reflects on candidates’ commitment to excellence in their field. Ultimately, it’s really all about that process of preparation involved in acquiring the certification, that journey you have to take to get to your goal. By itself, any degree or qualification really doesn’t mean anything, but it signifies everything done to get that mark. Therefore, rather than getting entrenched in one or the other, it is any global agency’s responsibility, and it is also in their best interest, to encourage both commits and certifications as a way to inspire confidence in the eyes of clients. How can we be supportive of certification programs? At Axelerant, we fund and curate a list of certifications (36 Acquia Certifications and counting) and reimburse team members who wish to take them in-full. But besides taking care of the logistical aspects, there are many more ways agencies can support team members with a desire to get certified. We’ve found that it’s not just about placing more emphasis on team members getting certified—it’s more about creating a culture where skill development is a key focus for everyone. For team members to be invested in their own growth and to have regular opportunities to further explore their areas of interest, goal-setting needs to be a part of the agency’s cultural ethos. At Axelerant, we make this happen in several ways. We’ve implemented Key Performance Indicators (KPI’s) for all our team members, which are closely aligned with the company’s strategic objectives. We’ve also launched Objectives and Key Results (OKR’s) across the organization, encouraging team members to bring forward their goals in relation to organizational objectives, and move forward synergistically to achieve them. In addition to this, mentors help their mentees set quarterly and yearly goals, and conduct regular one-on-ones to help them track progress and solve problems along the way. We use tools and templates designed to help teams track their goals successfully, and this ensures that that our one-on-ones are always fruitful and focused on the right things. Our emphasis on treating our agency staff as stakeholders factors into Axelerant’s entablement of continuous learning in-full. As we expect our team members to keep learning continuously via regular feedback, reviews, and retrospectives. This means our teams are always evolving into better, more effective versions of themselves—with ROI incentives. All of these efforts have to be documented; this is helpful in terms of offering visibility into team members’ growth journey, particularly when they’re being considered for promotions. Paramount to this internally is our Engineering Career Ladder, formed with standardized levels which include certifications. All these efforts ensure that team members feel encouraged to keep pushing their own limits. A well developed mentorship program can help team members build on their skill set and accelerate their growth. Mentors can help mentees identify the right certification to aim for. They can also help them set a timeline, source the right study material, and prepare for the test, or direct them to other team members who can help them with the preparation. At Axelerant, we have a growing focus on skill-specific development. Increasingly, we’re trying to pair team members with a certain interest with mentors who can assist them particularly with developing that skill. At Axelerant, the goal is to establish a rotational system, where team members are given the opportunity to be paired with a mentor for a specific duration, acquire a certain skill, and then move on to a new mentor to learn a new skill. 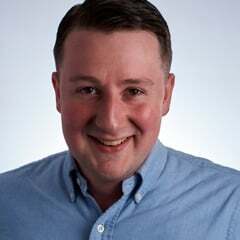 “This kind of unique mentoring structure would be strategic and to the benefit of both individuals as well as the projects they’re on,” he adds. Agencies must also recognize that certifications enable goal-directed learning for team members, allowing them to develop a diverse skill set. This can be particularly valuable in situations where people are entrenched in particular projects for long periods of time. While certifications do not reveal everything that clients need to know about Drupal agency team members, they do communicate a certain level of standardization, efficiency and problem-solving ability, and have the potential to positively impact individual Drupalers, as well as Drupal agencies and their clients. Acquia Certifications, as demonstrable means of acquired skills being validated, are helping to rectify global delivery in Drupal. It’s in the hands of agency decision makers to take this further. That means making this work for the betterment of the individual and the collective community—to nurture growth in abilities and opportunities, regardless of boundaries, biases, or the fear of change.